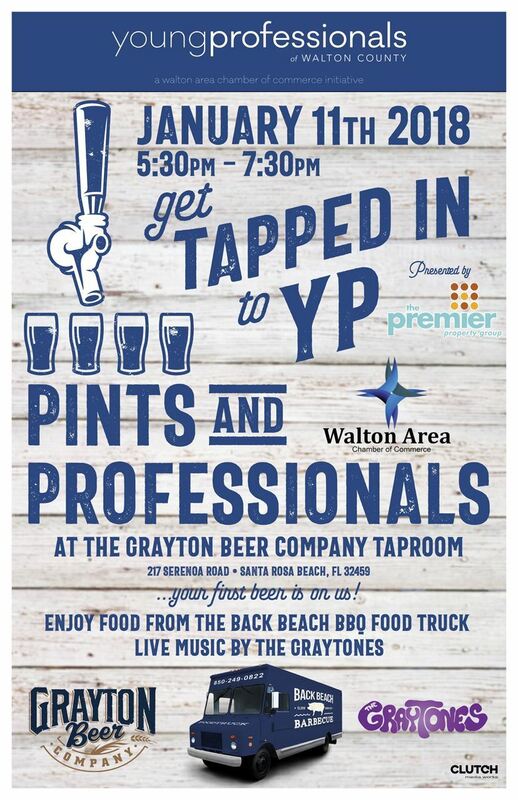 The Young Professionals of Walton County are kicking off 2018 at Grayton Beer Company! Pints and Professionals - sponsored by The Premier Property Group will be a fun, free casual event to network with other young professionals. >>>>>>Your First Beer is on Us! All are welcome to this event as we're trying to educate everyone to get involved! We will be signing up new members at this event. Dues are $55 annually for chamber members, $100 annually for non-chamber members!